Figline e Incisa is a municipality located in the valley of the Arno river, between the Pratomagno massif and the Chianti hills. Figline has roman and etruscan origins: the urban settlement is dated back to 1008 when the inhabitants reached the valley to build the Castle of Feghine. During the Renaissance it underwent an important cultural development that has left us numerous remainings and historical sites. The central Marsilio Ficino Square, dedicated to the famous humanist and built as the city's market place, is directly connected to the "Collegiata di Santa Maria", a thirteenth-century church that has a rich Sacred Art Museum annexed to it. 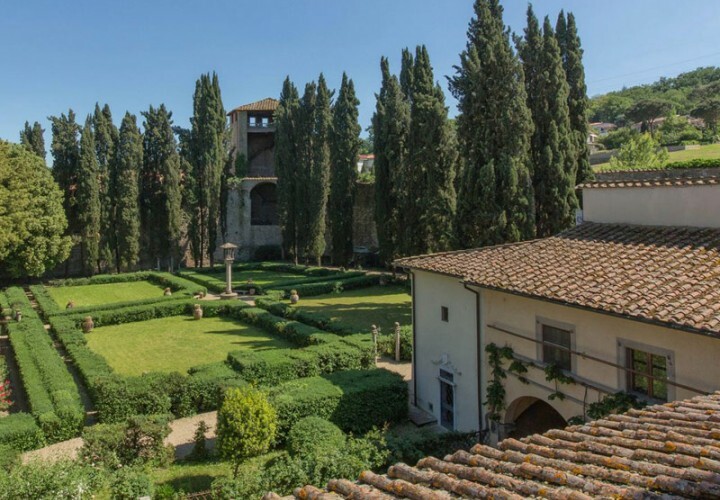 This museum houses paintings, sacred furnishings, vestments and illuminated manuscripts (in particular, there is a sixteenth-century figure representing the Martyrdom of San Lorenzo that was attributed to Cigoli). The Palazzo Pretorio - fifteenth-century building decorated by numerous emblems on the facade and a crenellated tower. Inside, there is an ancient bell (1384) and a terracotta coated with shiny ceramic attributed to Benedetto Buglioni. Near this castle there is the Convent of San Francesco with its two-tone facade and frescoed lunettes. Leaving the city center, in the countryside, there is the "Casa della Civiltà Contadina di Gaville" (the house of the rural culture of Gaville), a house full of testimonies of the ancient rural lifestyle. Incisa is the typical medieval hamlet full of tradition. The poet Francesco Petrarca lived here with his family during his childhood, and his house is now open to visitors as it became a cultural center that hosts workshops and exhibitions. Another important historical building is the Church of Santa Cosma and San Damiano.